While many non-smoking campaigns for young people, the City of Dortmund, Germany, it will hold trade fairs cigarettes, Inter-tabac Asia 2014 in Bali. The exhibition will be held on 27 to 28 February 2014. Anti-smoking organizations in Indonesia and Germany opposed the plan, arguing that smoking can destroy the lives of young people, and damaging to health. One of the opponents of cigarette exhibition to be held in Bali is Joseph Rabindanata Nugraha (Jakarta, Indonesia) and Max Vollmer (Dortmund, Germany). Both have launched a petition through the website at www.change.org / StopDortmund. This petition has the support of 11,000 people from various countries. This petition requires 15,000 signatures of support and through the web site. Petition against cigarette exhibition in Bali has been started since December 1, 2013. 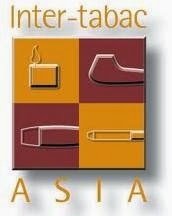 The goal is clear, to convince Westfalenhallen Dortmund GmbH, to no longer be a non exhibition organizer, Inter-tabac ASIA. The petition, also addressed to the Mayor of Dortmund, Ullrich Sierau, and Chairman of the Board Westfalenhallen Dortmund GmbH, Friedhelm Sohn. Friedhelm Sohn is also the Chairman of the Commission on Children, Youth and Families, from Dortmund city council. The background of this petition is on the website. In the website said that the tobacco industry makes countries that have a majority of low-and middle-income population as their target market. If the tobacco industry is successful, the consequence is the population in the country will be destroyed and the death toll will rise dramatically.